We have a friendly staff of professional licensed technicians that would be happy to assist in providing you with a pest-free environment wherever and whenever problems arise. 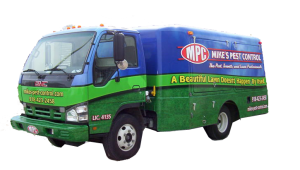 Our policy here at Mike’s Pest Control is to be advanced in all areas of training, which has provided us with hundreds of satisfied customers throughout Southern Oklahoma. Our technicians are required to take continuing education classes in the pest control industry making sure we stay updated on the latest chemicals, laws, and regulations. In addition, we strive to utilize the most up-to-date technology in pest and turf control management. not totally satisfied with our recommended services, we will continue working until you are satisfied, or refund the amount of your last application.